The pings that have been tracked, do they stop when an aircraft is powered down at an airport or do they continue under battery? I think, overthewing, he was assuming that the CVR had been disabled at the same time as the transponder etc, and so had indeed recorded Act 1 of the drama. However, the CVR can be erased (by anybody on the flight deck) by the mere push of a button. I think the CVR can only be erased with the aircraft on the ground (WOW) and the engines shutdown? Speed of sound, you may be right about it being easier to rob the truck but if it was 4300kg of gold you were trying to pinch (see earlier posts for derivation of this figure) how would you move it? Four and a half tonnes of gold? I'd move it in a 7.5 tonne truck! And does anyone seriously believe that £120 million worth of gold would be carried on a scheduled passenger flight? We would also like to know the fuel load. Both are highly relevant, however we are not going to get that information and the reasons it's being withheld can be perfectly good security reasons, not automatically sinister ones. Really? The plane and 200 or so people have been missing now for 9 days. Releasing cargo and fuel information is hardly going to make it less secure! The US Navy 5th fleet always has a carrier group covering the Persian Gulf, Red Sea, Arabian Sea, and parts of the Indian Ocean. This more westerly route is incompatible with this map (or Australian defence simply missed the object regardless what they say). Or they took the northerly route. speaking as a software design and AI guy, it seems entirely sensible and do-able that, in specific cases, total control of a plane could be taken away from the cockpit and handed to a combination of autopilot systems and external commands (via satellite), in other words, turn the plane into a drone. so far, the scenario is compatible with unknown problem detected one hour into flight, external diversion of plane to miliitarily secure airport via low-detection routing and releasing, for the time being, misinformation to a) mislead "enemy" and b) try and keep this capabilty secret. does anybody know if external-takeover technology is possible/implemented/out of the question? Yes I think you might be correct. You must have copied my post when it was still a draft before I edited it. I thought that they had multiple pings but your suggestion that they only mapped the final ping actually fits better. What are the odds that multiple pings would have exactly the same strength as shown in the arc (unless the aircraft was stationary by that point)? EDIT (3-16-2014): The arcs are possible locations of the last ping from one satellite. This fact is being reported very well by some broadcasters (so well you would wonder why there was ever a question) but still being called a "flight path" by other broadcasters. The "flight path" broadcasters are doing it wrong. Obviously I got my original information from the "flight path" sources, hence my confusion. Last edited by lakedude; 16th Mar 2014 at 23:41. Aircraft on the ground with parking brake set. The sad thing is we would of knew 99.9% of this information 2/3 days ago if the Malaysians were being transparent and honest. Could a plane really land without being noticed? There clearly has been some sort of pre-planned situation, by the person who had control of the aircraft, to at least go somewhere (this is surely proved by the evidence that the plane flew for over 7 hours after). Would it have to be the pilots that done this or would it have to be an "inside job"? Everybody seems to forget that there were 2 people on board travelling on stolen passports? This cargo story is surely clutching at straws. No doubt some more contradictory, delayed information will be released by the Malaysian government in the coming days. They know tonnes more than they're letting on. Diego Garcia: I think it would be very safe to assume that if a large unidentifiable plane flew anywhere remotely close to Diego Garcia it would have been noticed. Agreed, I would expect the base(s) in the region to be on some escalated level of alert as soon as the plane went missing in "9-11" style transponders off. Like a disturbed wasps nest some interceptors would be up and anchored navy ships put to sea. Based on past events if it showed up on defense radar they would have at least 2 interceptors. Without doubt this appears to be a hijack given the prevailing data points. The alleged route appears to be have been very well planned. I totally understand any intentional obfuscation by the Malaysian authorities. It is not in the best interest of authorities to immediately share all information with the public during an ongoing hijack/terrorist incident. It would potentially give too much feedback to perpetrators and enable them to stay one step ahead of the authorities. #4191 map can be derived as follows. You may infer from the strength of the last ping, how far away the plane was during the last ping. The "center" of the arc is eliminated, because this area is covered by some form of radar or other satellite, which did not see the aircraft. Based on the timing of the ping and the maximum speed of the aircraft, it would not be possible for the aircraft to make it to the left side of the circle. Sorry, but it wont be easier to simply "hijack" the truck or trucks with that supposed Money or Gold when driving towards Kuala Int Airport? Ok, supposing an abandoned cold war era field along Kirgyz/China border was used....it was night period...no fullmoon light at all, poor Navaids or even some ATC, lots of High Terrain in prox, after landed some sort of heavy handling material with some (lets say) dozens of persons for staff that operation was requested, and another miriad of other questions too??? What doing with the PAX after that? At least some runway working illumination, me thinks...after that where to hide it? Even nowadays sitting normally on our rooms we still surf the earth with Google Maps and Earth,,,its not impossible, but would say, too much Hollywood for almost failing 99%. And too many people involved without one of them simply breaking the silence pact!??? Thought I would post a couple of interesting new pieces from the Telegraph. American officials suggested on Saturday that three different pieces of signalling equipment had been disabled and that one of them was located outside the cockpit. The implication is that at least two people had collaborated to change the course of flight MH370 and make it and its crew and passengers disappear. If the captain and co-pilot had been involved they will have given a new meaning to the term 'clean skins'. Not necessarily. The distance from the satellite shown may be inferred from a single ping, based on the strength of the signal. This places it on the arc. The center portion of the arc is removed by local radar or other source. The left portion of the arc is ruled out because the plane at max speed couldn't possibly get from its last radar location to that far away. Therefore, the red arc was its set of potential locations during the last ping. It should be noted that the path the aircraft took need not follow that arc the whole time. Only it means that the aircraft intersected the red portion at the time of that ping. MTOW/MZFW and actual lift potential. Since a new 777-200LR is about $300 million, it's a lot cheaper to steal one for purposes of a terror attack than to go and buy one. Depending on how much fuel you have to load to reach your target, these things have an enormous lift capacity. On 9/11, it was not the impact of the aircraft, but rather the tens of thousands of gallons of fuel that did the most damage. If you remove all the freight and reload with with explosives and just enough fuel to reach your destination, it occurs to me that you would have one heck of a flying bomb. With careful maintenance, aircraft can be flown repeatedly at the maximum payload limits. But what if you didn't care about being able to fly the aircraft tomorrow? If you could find a long enough strip with a headwind and no nearby obstructions, other factors being equal, how much could a plane like this lift off and eventually climb with? I would never have asked this question immediately after the disappearance, but given what we know now, it doesn't seem so crazy. Everyone is hungry for information but the amount of speculation about this is unbelievable!! It says something about human nature!!!! Listening to the likes of Sky News, BBC and every crappy paper under the sun beggars belief!! After over 200 pages, this forum sounds like the worst of them! 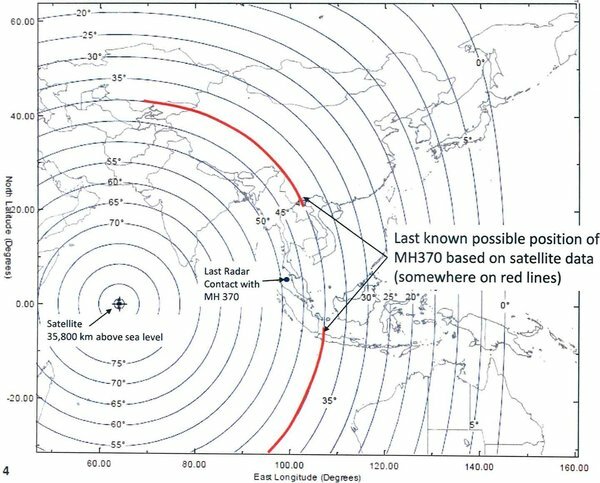 The indicated track indicated by the Malaysian authorities puzzle me. If this information is well correct of course. I had thought that someone was trying to enter GIVAG instead of GIVAL to go back to KUL but for what reason, and why VAMPI then. This flight was only less than 45 minutes on its way when the squawk was switched off. I do not know what sort of services MAS provides to its passengers on this route, but I believe that it was the dinner time or the aperitif just before. Learning what already happened with the F/O on a previous flight, may be that some nice looking person(s)ask to have a little visit to the flight deck and it was accepted... Or someone irrupted in the cockpit while one of the crew member was going in/out. Roger that? Acknowledging a frequency change this way seems strange to me.